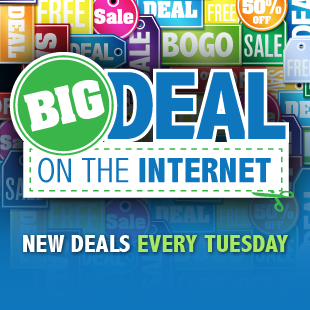 If holiday shopping hasn't overwhelmed you by now, we're bringing you even more deals this week. Typical discounts on PC digital titles are strengthened by a couple surprises: Gamefly's November coupon code is still working in December (no confirmation when it will actually expire but probably sooner than later), and after a day without a coupon (oh no!) Green Man Gaming revived their Winter Wonderland Sale over the weekend with a 30% off code (last week was 25%) that works on many popular titles, even TBA ones such as Tomb Raider and Sim City. PS Vita owners will be happy to know that we've found 7 titles at good prices. The recently released Assassin's Creed 3: Liberation is on sale at Best Buy, while the Vita port of Disgaea 3 is 25% off at Amazon. Far Cry 3 (PC Download) - $39.99 at GameFly. List is $50. Best deal for the Xbox 360 and PS3 consoles is at Amazon for $59.99 with a $10 Instant Video Credit. Tomb Raider (PC Download) - $31.50 at Green Man Gaming. Next best is $45 at Amazon. Deal expires December 6. Game releases March 4th. Assassins Creed 3: Liberation (PS Vita) - $29.99 at Best Buy. Next best is $40. Deal expires today. Buy One Select Kinect Game Get a $10 Gift Card, or Buy 2 Games and Get a $30 Gift Card - at Best Buy with 7 eligible titles. Dec. 4: Cabela's Dangerous Hunts 2013 (Wii U) - $39.96 at Amazon. Next best is $50. Dec. 20: Company of Heroes 2 (PC Download) - $42 at Green Man Gaming. List is $60. Dec. 20: Sim City: Limited Edition (PC Download) - $42 at Green Man Gaming. List is $60. Jan. 15: Sniper Ghost Warrior 2 (PC Download) - $20.93 at Green Man Gaming. List is $30. Feb. 5: Dead Space 3 Limited Edition (PC Download) - $42 at Green Man Gaming. List is $60. Feb. 12: Aliens: Colonial Marines (PC Download) - $35 at Green Man Gaming. List is $50. Feb. 26: Crysis 3: Hunter Edition (PC Download) - $42 at Green Man Gaming. List is $60. Mar. 3: South Park: The Stick of Truth (PC Download) - $35 at Green Man Gaming. List is $50. Apr. 23: Dead Island Riptide (PC Download) - $28 at Green Man Gaming. List is $40. Cabela's Dangerous Hunts 2013 with Gun (Xbox 360, PS3) - $59.99 at Best Buy. List is $80. Rocksmith (Xbox 360, PS3) - $29.99 at Amazon. Next best is $47 at NewEgg. Just Dance 4 (Xbox 360, PS3, Wii) - $22.99 at Amazon. Next best is $35 at NewEgg. Deal expires today. Lego Pirates of the Caribbean (Xbox 360, PS3, Wii, Nintendo 3DS, Nintendo DS) - $11.99 at Amazon. Next best is $20 at NewEgg. Rise of Nightmares - Kinect (Xbox 360) - $9.99 at NewEgg. Next best is $23 at Amazon. Deal expires December 5. Fallout: New Vegas Ultimate Edition (PS3) - $21 at Amazon. Next best is $30 at NewEgg. Silent Hill: Book of Memories (PS Vita) - $29.99 at Best Buy. Next best is $38 at NewEgg. Deal expires today. Disgaea 3: Absence of Detention (PS Vita) - $29.99 at Amazon. Next best is $39 at Buy.com. Ridge Racer (PS Vita) - $19.99 at Best Buy. Next best is $28 at Buy.com. Deal expires today. Hot Shots Golf: World Invitational (PS Vita) - $9.99 at Best Buy. Next best is $20 at Amazon. Deal expires today. MLB 12: The Show (PS Vita) - $9.99 at Best Buy. Next best is $20 at Amazon. Deal expires today. Metro: Last Light (PC Download) - $42 at Green Man Gaming. Next best is $45 at Amazon. Deal expires December 6. Borderlands 2 (PC Download) - $37.10 at Green Man Gaming. Next best is $45 at Green Man Gaming. Deal expires December 6. Sonic Action Pack (PC Download) - $24.99 at Amazon and comes with bonus $5 credit towards select PC Download games redeemable Jan. 2013. Next best is $115. Deal expires December 8. Of Orcs and Men (PC Download) - $22.39 at GameFly. Next best is $28 at Green Man Gaming. LEGO Lord of the Rings (PC Download) - $21 at Green Man Gaming. List is $30. Total War Shogun 2 Fall of the Samurai (PC Download) - $20.96 at Green Man Gaming. List is $30. Sega Action Only Pack (PC Download) - $19.99 at Amazon, plus $5 credit for select downloads in Jan. 2013. Next best is $96. Deal expires December 8. Chivalry: Medieval Warfare (PC Download) - $14 at Green Man Gaming. List is $25. Gemini Wars (PC Download) - $14 at Green Man Gaming. Next best is $30 at Amazon. Deal expires December 6. Confrontation (PC Download) - $12.79 at GameFly. Next best is $28 at Green Man Gaming. Worms Revolution (PC Download) - $9.45 at Green Man Gaming. List is $15. Starpoint Gemini (PC Download) - $8.75 at Green Man Gaming. Next best is $20 at Amazon. Deal expires December 6. Port Royale 3 (PC Download) - $7 at Green Man Gaming. List is $40. Jet Set Radio (PC Download) - $7 at Green Man Gaming. Next best is $10 at Amazon. Deal expires December 6. Stronghold 3 Gold Edition (PC Download) - $5.25 at Green Man Gaming. Next best is $30 at Amazon. Deal expires December 6. Unstoppable Gorg (PC Download) - $3.50 at Green Man Gaming. Next best is $10 at Origin. Deal expires December 6. Mortal Kombat: Arcade Kollection (PC Download) - $2.80 at Green Man Gaming. Next best is $10 at Amazon. Deal expires December 6. Cargo Commander (PC Download) - $2.38 at Green Man Gaming. Next best is $8. Deal expires December 6. MSI GeForce GTX 650 1GB GDDR5 PCIe Video Card N650 PE 1GD5/OC with Assassin's Creed III Game Coupon - $109.99 at NewEgg. Next best is $130 at Amazon. Deal expires December 31. Dell XPS 8500 Ivy Bridge Quad Core i5-3350P, GeForce GT 620, 8GB RAM, 2TB HDD, Windows 8 - $649.99 at Dell Home. List is $774. Lenovo IdeaPad Y500 95412SU Ivy Bridge Core i7-3632QM, 8GB RAM, GeForce GT650M, Windows 8 - $799 at Lenovo. List is $1,149. Lenovo IdeaPad Y400 952324U Ivy Bridge Core i5-3210M, 8GB RAM, GeForce GT650M, Windows 8 - $729 at Lenovo. List is $999. Xbox 360 Live 12-Month Gold Membership - $39.99 at NewEgg. List is $60. Deal expires December 10, but Xbox Live deals usually don't last long. Nintendo 3DS XL with Mario Kart 7 Bundle (Blue/Black) - $199.99 at Best Buy and comes with a $20 Gift Card. Sennheiser X320 Xbox 360 Gaming Headset - $99.99 at Buy.com. Next best is $130 at Amazon. Deal expires December 6. Wii Remote (MotionPlus Adapter Compatible), Nunchuck and Wrist Strap - $12.99 at Buy.com. List is $35.